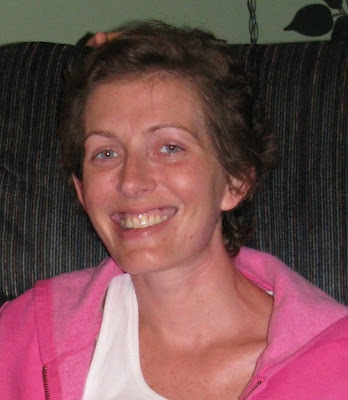 In July of 2007, my cousin Tiffany was diagnosed with a stage 4 brain tumor -glioblastoma multiforme. Tiffany was 26 and single. Thankfully, my aunt Sandy, was able to leave her job and stay by Tiffany's side every day since. Tiffany fought hard. We all prayed for a miracle. We wore our "Kill Ted" (the tumor) t-shirts and bracelets to show our support as Tiffany underwent radiation, chemo, and multiple surgeries. Tiffany passed away peacefully at home early this morning. I know she is now at peace with our Father in Heaven. She will never have to suffer again. Still, my heart aches, because I will miss her. I feel like my life is better for having known her and for experiencing firsthand the love she shared with her mother. Tiffany is survived by her mother and stepfather Sandy and Rob Temple, her younger brother Brad Rose, and her father Harry Rose. My thoughts and prayers are with you in this painful time. So sorry Amy! I hope you find peace at this sad time. I am thinking of you!!!!! Sending a big hug your way . . . please let Sandy know that many prayers are being said for her family. Amy, We are thinking of you and your family. Tiffany was a beautiful lady, her smile just radiates grace and love. I know you will miss her. Wishing you peace and comfort through this difficult time. Amy, I am so sorry for you and your family's loss. Tiffany was such a sweet person. She was always someone I wanted to be like growing up at church! Her smile always brought me happiness. Amy, so sorry to hear this. Hope that you and your family are doing well. You did a wonderful thing by cherishing her life when she was alive with your wonderful scrapbook pages. So sorry for your family's loss, Amy. Prayers for you all.